Google Chromecast is an amazing low-cost streaming device that allows you to stream high quality video, audio and other media content. But apart from music and videos, Chromecast also allows you to enjoy multiplayer games which not many of us are aware about. 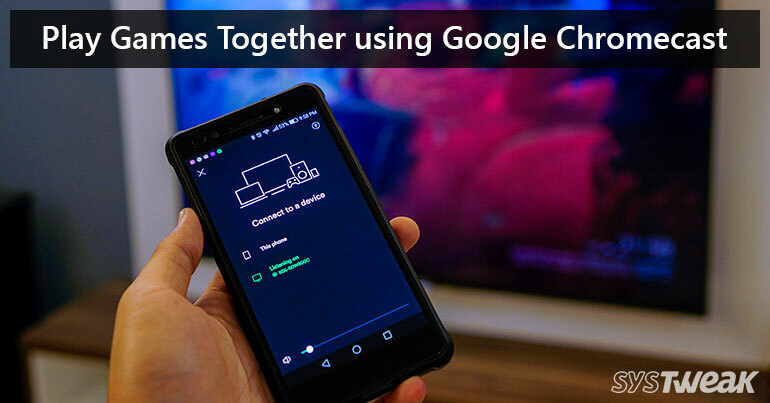 So, if you’re not much familiar about this concept, first let’s understand how we can play multiplayer games using Chromecast. Launch any Chromecast supported game. To join more friends to play along, other players have to do the same process and join to the same casting device which you’re using. Pretty simple, eh? Just like we said earlier! Now the game will automatically prompt which player’s turn it is and when the other players have to play along. So, as now you’ve gained enough knowledge about how to play multiplayer games on Chromecast here are some of our best picks to explore first. Well, who doesn’t love the good classic game of Monopoly? Monopoly has always been the first pick for board games since ages. All you need to get started is a TV and few of Smartphones so that your friends can join along as well. It can be a great entertainer for get together and parties, isn’t it? One of the best things about playing this game is that you won’t need multiple Smartphones to play along. You can rather choose the “Pass and Play” gaming mode and enjoy multiplayer experience using one device as well. Just like Monopoly, Risk is also free to download on both Apple and Google play Store, and involves no in-app purchases. Tricky Titans is a wonderful arcade game where you have to destroy your opponent’s virtual village in order to succeed. Each turn, every player will decide to attack, power up, or defend their village. It’s a simple game, but there’s definitely a level of strategy here, too. Get ready to groove and flaunt your dancing skills with this amazing dance multiplayer game for Chromecast. Just connect, play some music, and just shake your groove till you drop. Just dance can be a great entertainer for kid’s birthday party or get together. Well, thank us later! Time for some trivia action! Big Web Quiz allows you to polish your brain cells along with 5 other players. Each person is identified with their own customized avatar for recognition. The questions will pop up on your Smartphone’s screen and the options for answers will be displayed on TV screen in fun and interactive graphics. Young, old or kids, the game is perfect for every age group! So, fellas, here were the 5 best multiplayer games that can be played on Google Chromecast. What are you waiting for? Amuse your guests as well as the whole family with these amazing multiplayer games. Call your friends over, we just gave you enough ideas to enjoy this weekend, right?